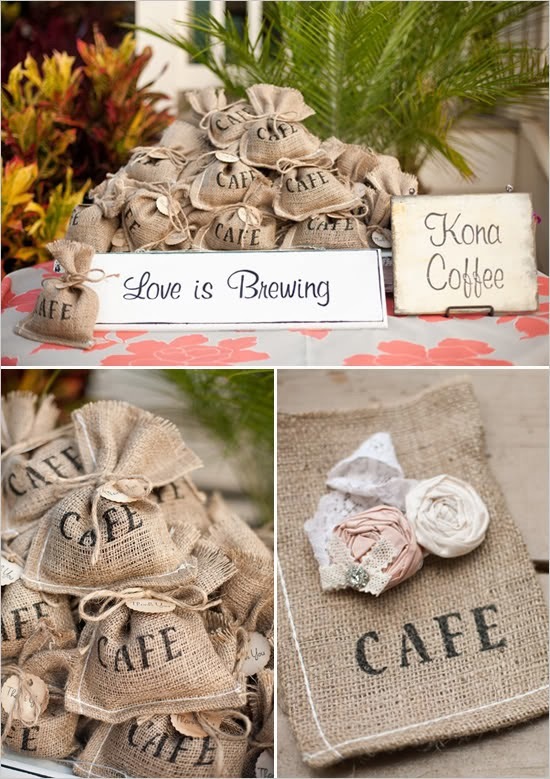 Memorable Wedding: Coffee Wedding Favors Are the Latest Craze! Coffee Wedding Favors Are the Latest Craze! If you are planning an upcoming wedding, then first of all, congratulations! The next order of business is solidifying all of the details, which can be quite stressful as a newly engaged couple. One of the latest trends on the market when it comes to wedding favors is using coffee to treat your guests and celebrate your love. Not only is this something completely unique, but it is also something memorable that your guests can take home and use right away. When you compare this to many of the obscure wedding favors that aren't useful for every day purposes, coffee wedding favors will be a surefire hit! Some of the best ideas begin with purchasing freshly roasted coffee in a gourmet variety that you can give to your guests as a favor. 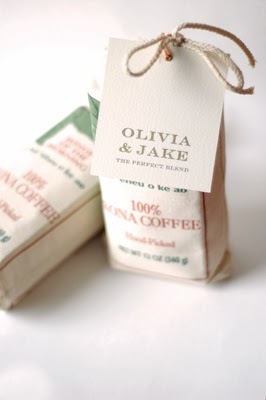 If you and your fiance love a particular type of coffee roast, this is the perfect way to personalize your wedding favors and give this gift to your guests. 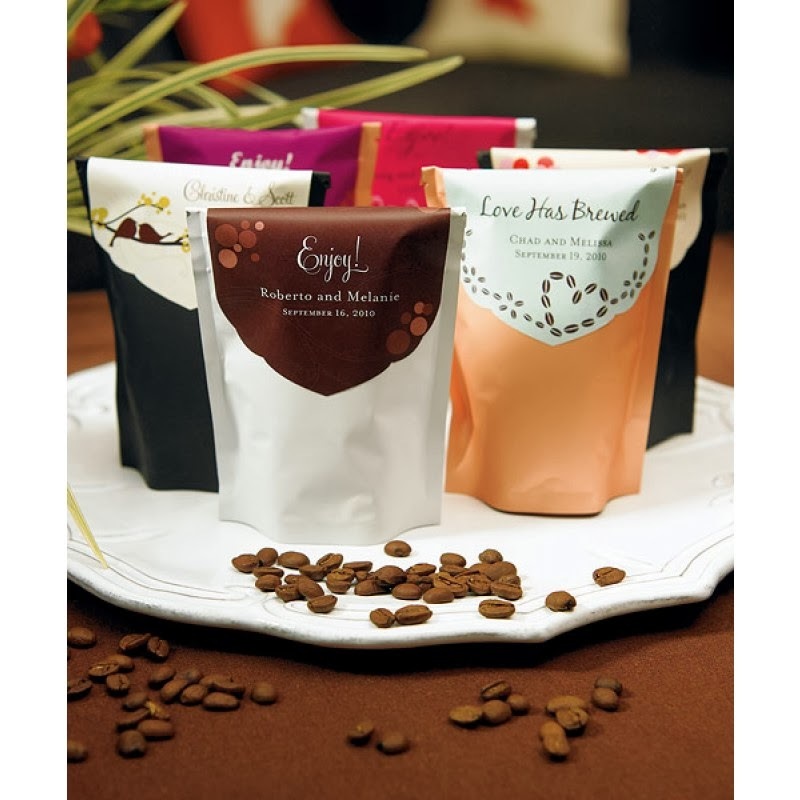 You can also purchase coffee from particular regions to match the theme of your wedding. For instance, if you are getting married in Hawaii, then why not get your guests the exclusive Kona Coffee beans grown authentically in Hawaii? This is something that you can get from a local Hawaiian roaster and personalize as a wedding favor. Regardless what type of coffee that you choose, you can get your own custom labels to celebrate your love. You can simply put your new married names and the date of your wedding, or you can even great creative and put slogans on the coffee beans, like "The Perfect Blend" or "Love is Brewing". Personalization is the best part of these coffee favors, so you can purchase professional labels or even print them yourself on your computer. If you are making the labels yourself, it's also a great idea to put the name of the guest on each favor so that it is customized and special. 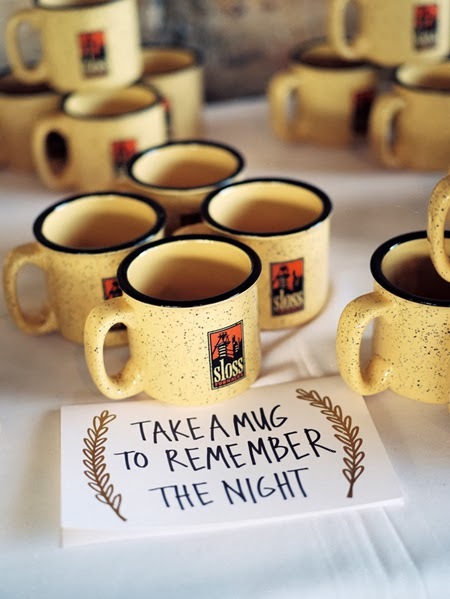 Another great coffee related wedding favor is to give out coffee mugs with the name of the bride and groom, your picture, or even something relating to the theme of your wedding. This is your opportunity to get creative and customize the mugs to signify your relationship. If you are a couple that loves to travel, then you can put pictures of your favorite destinations, as well as your married name, on the coffee mugs for your guests. Last of all, consider a gift that everyone will like - chocolate! 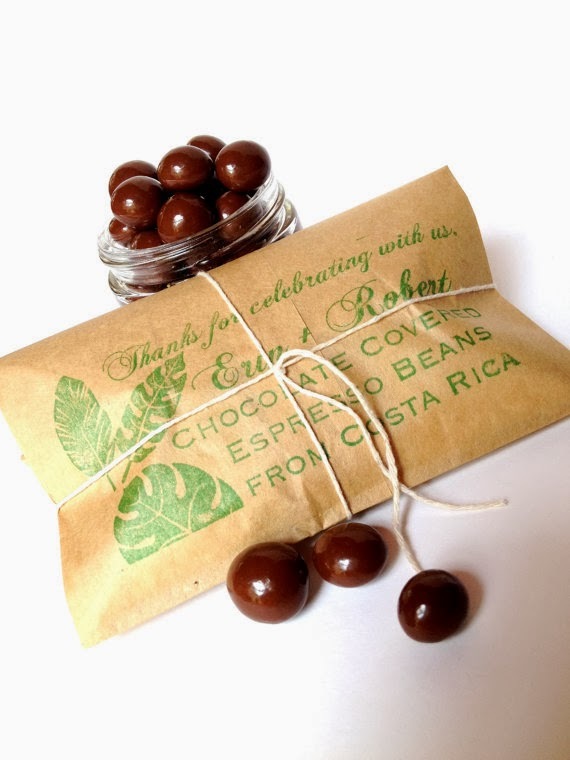 You can marry the two ideas together, so to speak, and give your guests chocolate covered coffee beans. 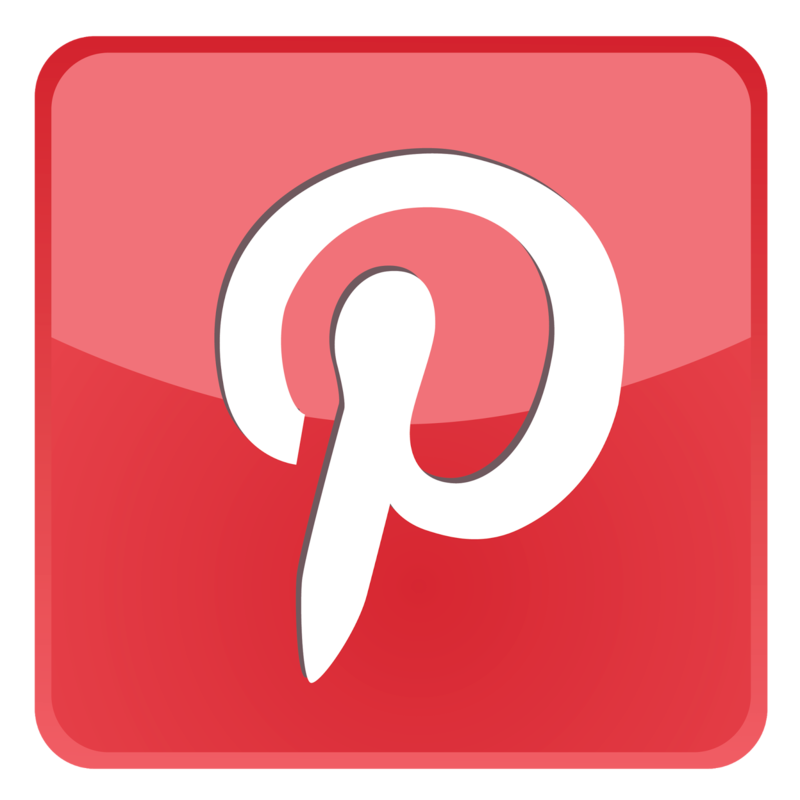 If you are a bride on a budget, this is something that you can easily make at home with several simple recipes found online. Otherwise, you can purchase them from a caterer or chocolatier who specializes in making expert chocolate covered coffee beans.